Live sound mixers to lighting consoles, PA speakers to microphones, each piece of equipment plays a vital role in the production of a big scale live concert performance. It is, therefore, absolutely essential to set up your show using the appropriate gear. PT selects and brings a collection of seven noteworthy pro audio and lighting gear launched for live stages in 2018. After eight years of the launch of the legendary Sharpy, Clay Paky has now developed the incredible Sharpy Plus which is a true 100% HYBRID unit able to be a perfect beam light and a perfect spotlight. Sharpy Plus is suitable for every occasion, with an extraordinary luminous efficiency which ensures substantial savings through lower power consumption. It fits a totally new, top-ranking-performance Osram Sirius HRI 330W X8 lamp and weighs only 21.6 kg (47.6 lb). The Sharpy Plus has two independent operating modes i.e. Beam and Spot mode. In Beam mode, the aerial effects are enhanced by the way the Sirius lamp is made. It is capable of extraordinary power output (over 300,000 lux at a 10mt distance, which the optical unit enhances through a marked hot spot. In Spot mode, the light is diffused in a more even way which means visual effects can be projected with excellent uniformity. With a slightly larger body than the Sharpy, it houses a high-quality optical unit with a zoom that ranges from 3° to 36° zoom covers the entire range linearly, both in spot mode and in beam mode. Its minimum beam angle of 3° makes it possible to generate the narrow parallel light beams and its wide zoom range also allows large beam angles, which makes the SHARPY PLUS a perfect spotlight for all purposes. Sharpy Plus with its wide range of effects and high light output, it beats all the lights in the same category and comes very close to those of higher wattages, but with a much more appealing price tag. This year, Sennheiser released the evolution wireless G4 series which is the fourth generation of its most popular product G3 wireless system range. 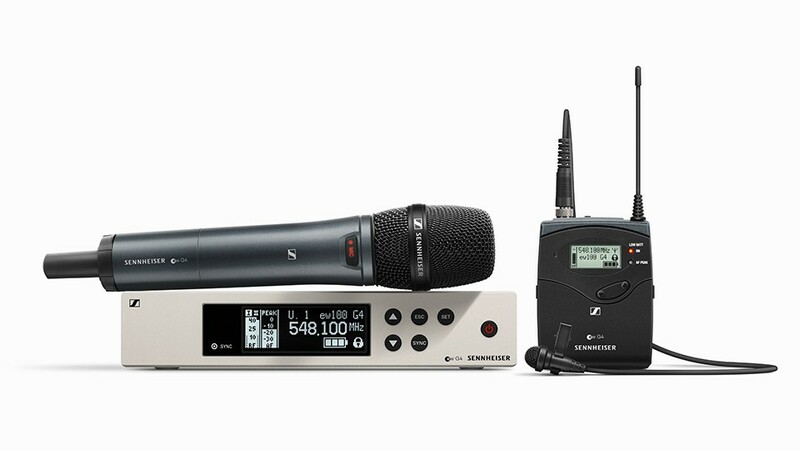 Following on the success and legacy of Sennheiser popular G3 wireless system range, the G4 takes things a little further, offering four different lines—100, 300, 500 – sub series and IEM - to meet the needs of the live performance, broadcast, and film, as well as the business and education market segments. There are brand-new professional sets for ENG and film work in the 500 series, three new Base Sets in the 300 series, as well as upgraded Vocal Sets and a new Combo Set in the 100 series. EW G4 – 100 SERIES: The 100 series comprises Vocal Sets that include the acclaimed capsules of the evolution e 835, e 845, e 865, e 935, and e 945 microphones. Also available are an Instrument Set, a Headmic Set and two Lavalier Sets with either the ME 2-II (omni) or ME 4 (cardioid). EW G4 500 SERIES: This series offers the added benefits of greater range, more spectrum flexibility and the control options offered by the Wireless Systems Manager software. Available systems include Vocal Sets with the e 935, e 945 and e 965 capsules, an Instrument Set, a Lavalier Set with professional MKE 2 clip-on, as well as an individual receiver and transmitter units. IEM series: The IEM series has had its RF output power increased to 50 mW, and its bodypacks now come with even better protection from humidity and moisture. Individual units are available, as are a single and a Twin IEM Set. EW G4 300 SERIES: Targeting users in corporate, hospitality and education settings, the ew G4 300 series comprises a Vocal Set with an e 865 microphone head, a Lavalier Set with the ME 2-II clip-on, and a new Headmic Set which includes the SL HEADMIC 1, the pro’s choice for speeches and lectures. Also new in the series are the Base Sets, which provide a cost-efficient way to update or expand existing evolution wireless systems. Twelve years after releasing its J series, D&B Audiotechnik introduced the GSL loudspeaker system, which is a part of d&b’s SL-Series and sits right at the top of the company’s loudspeaker product range. There are four loudspeakers that make up the GSL-System, of which the GSL8 and GSL12 form the core. Both are 4-way boxes that are identical aside from their horizontal dispersion pattern. Like J8’s and J12’s before them, the GSL8 is an 80° box and the GSL12 is its 120° equivalent used for near- or mid-field applications. 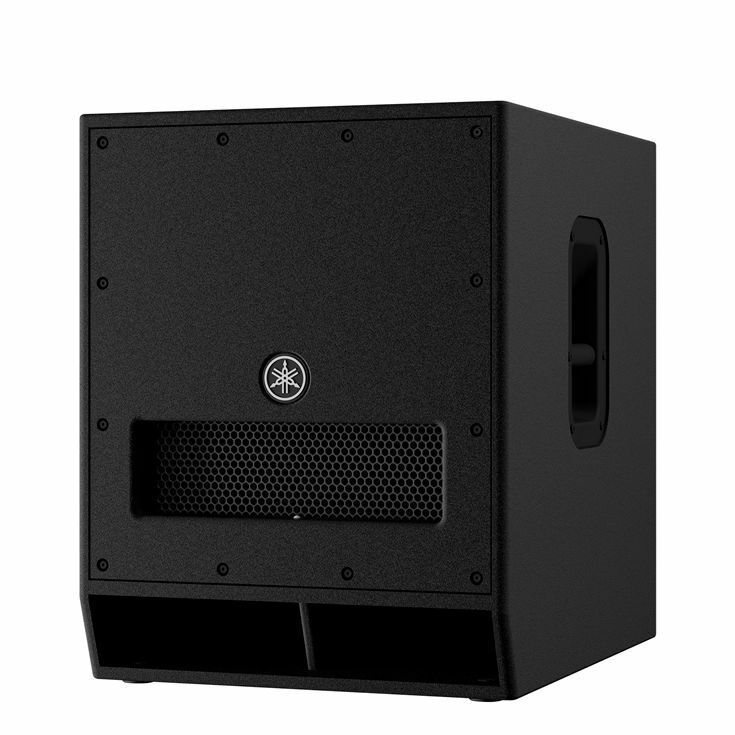 Inside the GSL cabinets, the low-frequency section consists of dual forward-facing 14-inch drivers and two side-firing 10-inch drivers, both utilizing a bass reflex design. The mid-frequency section consists of a single horn-loaded 10-inch cone driver; the high-frequency section consists of three 1.4-inch exit drivers housing 3.4-inch voice coil diaphragms. The GSL System is a complete solution created specifically for the largest sound reinforcement applications in significantly sized arenas, stadiums, and festivals, to accurately deliver any performance style or musical genre. The new Bose S1 Pro is the company’s smallest and most affordable portable PA, and reportedly, its brilliant design is ideal for singer-guitarists who perform on stages where power outlets are inaccessible. 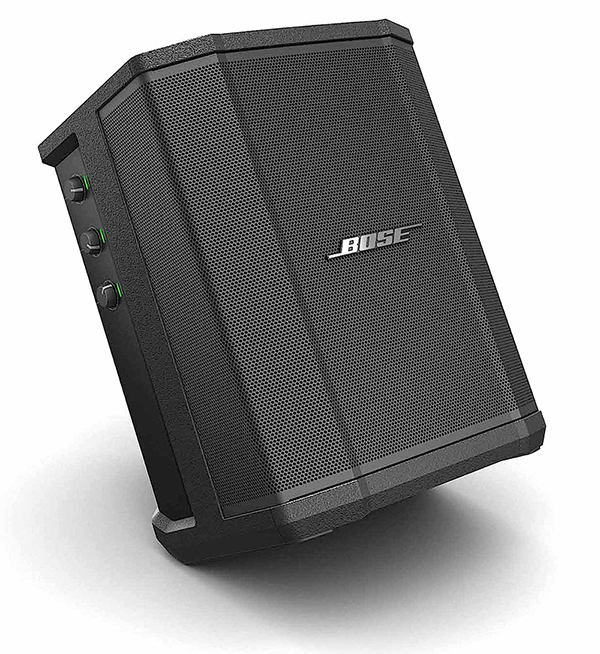 Fully loaded and weighing in at just 15 pounds, the Bose S1 Pro is the ultimate all-in-one PA for soloists, event speakers, and smaller acts. Whether kept tilt, seat, or mount, the S1 Pro delivers rich, even coverage to an entire room, with Auto EQ to eliminate hotspots out on the floor. Two channels with independent EQ, reverb, and ToneMatch technology promise flattering reproduction of voices and instruments, while a dedicated third channel with 1/8” aux input and one-touch Bluetooth pairing and streaming handles music playback. A convenient carry handle facilitates speedy load-ins and setups, while a factory-installed Li-ion battery gives unmatched PA portability. Separate microphone, guitar (XLR-1/4-inch combo jacks) and auxiliary inputs (auxiliary input audio also can be streamed wirelessly via Bluetooth); a ¼-inch line output and a three-channel mixer with individual bass, treble, reverb, as well as ToneMatch controls for channels 1 and 2, make the S1 Pro a true all-in-one PA system. An optional, rechargeable lithium-ion battery enables hours of performance, without needing to plug into a power outlet. Unlike many compact speaker systems, the S1 Pro does not have a narrow “sweet spot,” but instead disperses full-range sound quality across an impressively wide sound field. Bose states that the S1 Pro is ideal for audiences of 50 or fewer, but it easily can be used to fill larger rooms with volume levels that are just above the average volume of conversation. The ToneMatch feature instantly optimizes the sound quality of guitars and vocal microphones to provide rich, full, distortion-free tone with impressive clarity, while the treble and bass EQ controls allow further refinement, without radically altering the sound. The built-in reverb may be a no-frills “meat and potatoes” effect, but it provides pleasant, natural-sounding room ambience effects that are particularly useful when playing outdoors. Superfly by Outline is the latest compact line-array containing design DNA from one of the most influential loudspeaker designs of the last 15 years, Outline’s Butterfly. Weighing under 38kg (83.8 lb) per module, Superfly is the lightest, most powerful 3-way, 10” quad-amped line-array system within existing Outline portfolio with 2 x 10” LF, 2 x 8” MF and 1 x 3” HF loaded on a DPRWG wave-guide. Nothing as compact or lightweight comes close to this system which can be readily paired with any of the firm’s subwoofer designs. The LF extension from the individually-driven dual 10” drivers is below 50Hz and for many applications, Superfly’s ultra-wide bandwidth and clarity make it the ideal solution without the need for additional subwoofers. Outline Superfly appears as a work of art which offers 90° horizontal propagation. Output beyond the 90° range drastically reduces the sound pressure level. This allows designing the coverage of the sound space in a very precise way. The angulation and rigging system is the same as in the Outline Mantas 28 system - angle is selected using two retractable elements and locked with pins from the bottom and from the top. Outline Superfly is a very exciting proposition among compact line systems. In its class, it will certainly be one of the leaders. 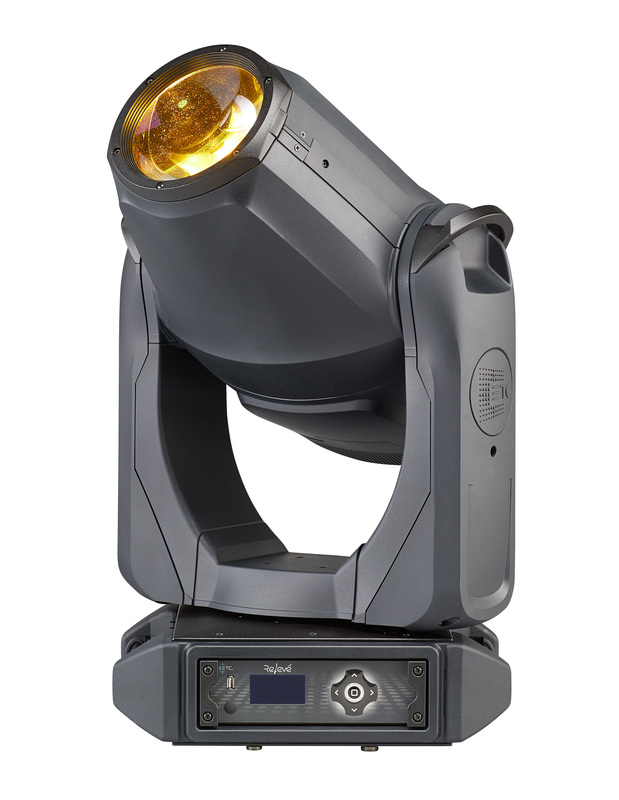 Relevé Spot automated fixture with calibrated four-color additive mixing, a unique Ani-gobo wheel, and patented Whisper Home technology is designed by ETC for stage lighting applications. The Relevé Spot, which won an Innovation Award recently, builds on the LED color technology that ETC has been refining for nearly a decade. •	Ani-gobo breakup and effect wheel allow for a variety of types of beam breakups as well as spectacular fire, water, and leaf effects. This year Yamaha has announced the newest additions to its DXS Series of powered subwoofers, the DXS15mkII and DXS12mkII. The DXS Series was originally developed to complement the acclaimed DSR, DXR, and DBR Series full-range powered speakers and provide a more well-rounded sound, particularly for bass-heavy musical performances that put a premium on very powerful, yet well-defined low frequencies. 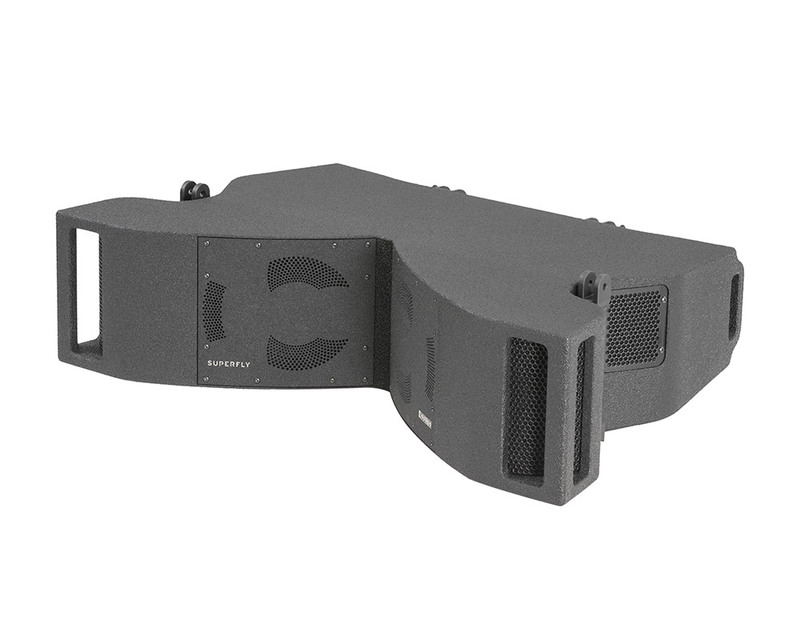 The new DXS15mkII and DXS12mkII are upgraded models of the current DXS15 and DXS12 sub-woofers that have adopted technologies developed for the DXS18, which has proven to be a very popular choice in live venues and clubs, as well as temporary applications such as outdoor music events or parties. Both new models offer an upgrade in performance from the previous DXS15 and DXS12, delivering higher maximum SPL from a more powerful amplifier, as well as an extended low-frequency response. 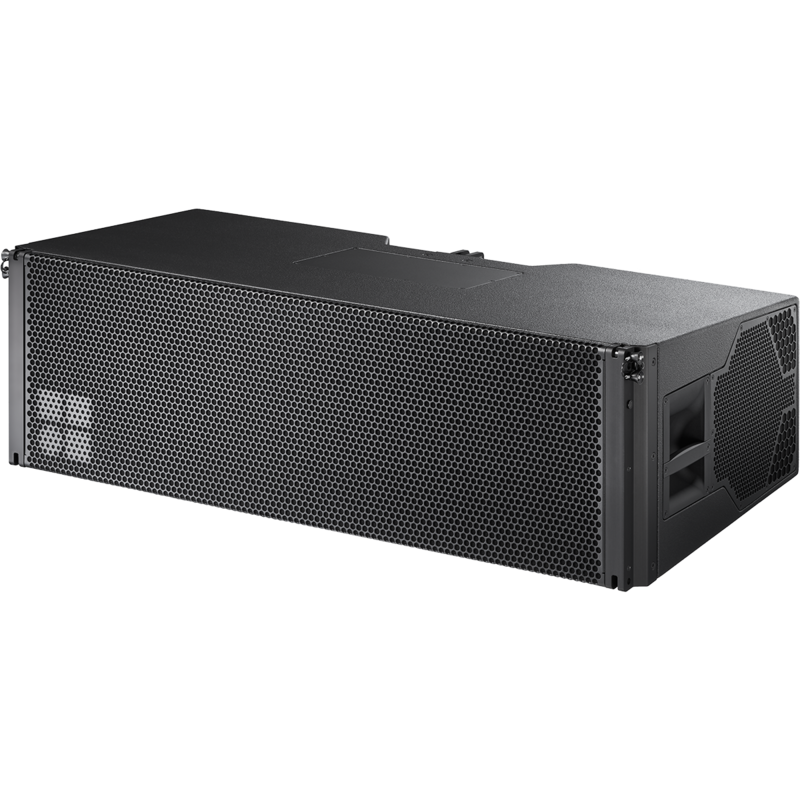 The new DXS15mkII and DXS12mkII are upgraded models of the current DXS15 and DXS12 sub-woofers that have adopted technologies developed for the DXS18, which has proven to be a very popular choice in live venues and clubs, as well as temporary applications such as outdoor music events or parties. DXS15mkII 15” POWERED SUBWOOFER: The new DXS15mkII capable of producing tight, thunderous low frequencies as low as 40Hz and a maximum SPL of 135dB, this updated model’s optimized band-pass design and state-of-the-art DSP ensure the extremely high-power output is focused, powerful, and distortion-free. DXS12mkII 12” POWERED SUBWOOFER: The new DXS12mkII is equipped with an upgraded 1020W power amplifier producing an impressive 134dB and reaching as low as 42Hz producing clean, clear, heart-stopping bass that defies its lightweight construction. Try selecting our D-XSUB “BOOST” or “XTENDED LF”low-frequency processing settings, turn up the volume, and watch the eyes widen and jaws drop. All this in a small, easy to install enclosure.